PrestaShop Static HTML Block module allows you to create custom HTML blocks to display special information such as text, widgets, custom CSS/HTML or other stuff. You can add special blocks in footer, header, CMS pages or any other page in the left/right columns, with the ability to add CSS effects. 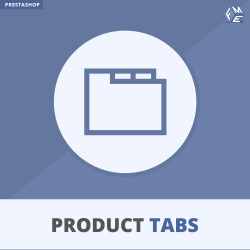 PrestaShop Custom blocks plugin allows you to fill your website’s empty spaces with informative and entertaining images, videos, tables and any type of valuable content. Add custom code, widgets, banners, text with the help of MCE editor, or any other stuff that makes your web pages appealing and tempting. 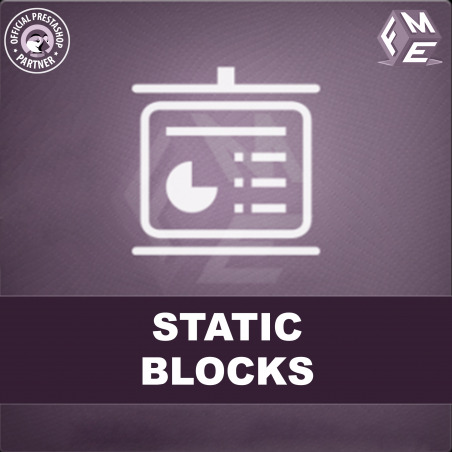 For customizing the static blocks, you can easily access the back-end and create unlimited blocks or change the placement. You can add images, videos and other elements to the make the block appealing without any requirements of technical knowledge. You can use AND or OR conditions based on category, cart or product to display your block on specific pages. Merchants can use this option to display special offers only when a specific condition is met. Option to schedule static block for a specific time period. After the specified time the block will not be visible. There are already 36 predefined hooks that can be used to display block anywhere on the page. Perfect :) It works perfectly. And the customer post sale service is incredible. Thanks for all. 100% recommended.